CLARION, Pa. (EYT) – A jury of seven women and five men along with four alternates was picked on Monday for a Clarion man accused of killing a Curwensville woman in March of 2017. It was a day-long process to choose the panel to hear arguments in the case against Ditz, starting at 9 a.m. and ending around 5:30 p.m.
Ditz is accused of fatally shooting 22-year old Clarion University student Katrina Renee Seaburn on March 1, 2017, in Washington Township, Clarion County. A pool of 48 potential jurors was originally called, but Judge James Arner dismissed 16 of them in the initial voir dire process including nine for “personal hardships,” four for “close” relationships with either the defendant or prosecution, two who had been previously charged or convicted of a crime and one for miscellaneous reasons after that person approached the bench. Arner then took the unusual step of turning the voir dire process into “individual voir dire,” which was closed to the public and media. Explore questioned a representative of Arner’s office about why the process was closed when the U.S. Supreme Court has deemed that most voir dires should be conducted in public. Arner had stated it was closed due to the “personal and private” nature of the questions being asked the potential jurors. The representative cited that Arner likened the process to that of a private judge, lawyer, potential juror conference. Arner also addressed the 16 jurors – the 12 members and the four alternates – and said that he would have further instructions for them on Tuesday, Dec. 4, but that they were not to talk to anyone about the case nor view or read any media accounts of the case. He also told them not to seek out information on their own regarding the case. Ditz, dressed in a blue dress shirt, tie and black pants sat stoically next to his lawyer, Adam Bishop, during the initial portion of the voir dire. His defense team consisted just of Bishop. The charge of general criminal homicide encompasses murder of the first- second- and third- degrees, as well as voluntary and involuntary manslaughter, according to Aaron. 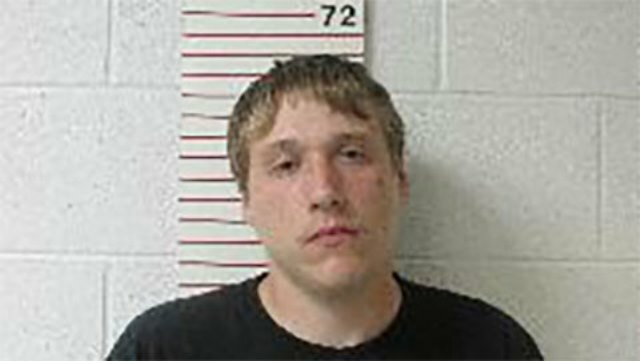 Ditz is being held in the Clarion County Jail without bail. The trial, which will continue at 9 a.m. on Tuesday, is scheduled to be held every day this week starting at 9 a.m.